WIKICOMMONS | PHOTO COURTESY Can Jared Goff knock off Tom Brady? We don’t think so. The evil empire and I have a rough relationship. For the last two years, I have picked the bad guys with 50-50 results. But this year there is a shining light on the western horizon, a brand new thing to look forward to and support. High flying, action packed, it is the must have thing. Even appearing to go to lunch with it puts one in a position of power. Looking back on the season, the Los Angeles Rams have been a source of joy, including excellent games against the Chiefs and a pair against the Saints. Of course, the final showdown ended being a fantastic game of Refball. There are never any winners in Refball. On the big stage, the Rams will perform well. But this time, there is rarely any joy in the world. Man, college has made me a bit more melancholic than usual. No, the Los Angeles Rams aren’t the ones to have survived the gauntlet that is an NFL season. Rather, I am the one who has survived. The Rams were my Super Bowl pick back in August. Lo and behold, it’s Super Bowl Sunday and they’re still standing. I’m doubling down on my pick. For Los Angeles, it’s all about setting the tone. Their first tone-setter is superstar running back Todd Gurley. Gurley was a nonfactor against the New Orleans Saints, though he claims he will not be held back by injury against New England. It is essential for the Rams to call Gurley’s number early and often against the Patriots. New England was a sieve against the run in the regular season. The Rams must establish Gurley as well as C.J. Anderson from the get-go. Doing so will enable Jared Goff to get comfortable and keep head-coach-slash-offensive-wizard Sean McVay in control. On the other side of the ball, it is imperative for Los Angeles to wreak havoc on Tom Brady. The Patriots offensive line has been stellar lately, but it’s impossible to bottle the quartet of Michael Brockers, Aaron Donald, Dante Fowler, Jr. and Ndamukong Suh. Take it from Justin Tuck, who turned Brady into his personal target practice in two Super Bowls. Raise hell in the pocket, and the Patriots offense folds. I would love to see the Rams win Sunday, but I wouldn’t put my money on it. Tom Brady and Bill Belichick have been to the Super Bowl eight times together. On the opposite side of things, Sean McVay has had a successful coaching career thus far, but is only in his second year as a head coach. Additionally, Los Angeles quarterback Jared Goff is in just his third season. I think experience will trump talent this Sunday, and Brady will get his sixth ring. But I would love to be wrong. Give me the Patriots against the 2.5 spread and under on the line of 56.5. Belichick will get soaked in blue Gatorade at the end of the night. The Patriots’ dynasty has come full circle. It started with a matchup with the St. Louis Rams, and maybe now it will end with the Pats taking on the Rams, now located in Los Angeles. Seventeen years ago, nobody on the plane would think Bill Belichick and Tom Brady would be trying to win their sixth Super Bowl in nine tries. Present day, the Rams present a formidable task for the Pats. Ndamakong Suh and Aaron Donald have been as good as they’ve been all year on the defensive line, and Jared Goff is looking like the Jared Goff that made him an early season MVP candidate. Belichick is known for taking away the opposing team’s best player on offense, and there is no reason to think he will stop now. Expect Brandin Cooks to draw Belichick’s wrath. Limiting Cooks will make the Rams one-dimensional, and that will make the difference. Goff will make some throws late, but Brady will be too much to overcome. I think this Super Bowl comes down to one man, Tom Brady. Brady is a “fourth quarter man.” He’s at his best when it comes to the end. Not only has he been red hot throughout the postseason, but he’s also got a lot to prove after losing last year’s Super Bowl. With that mentality, Brady will be determined to get one more before he retires. By no means do I think the Rams and Goff are bad. I’m sure they will be back again soon, but this is a big one for Brady. I am the Opinion Editor, so just think of this prediction as a tiny opinion piece on who I think is winning. This required more thinking than I imagined, but I ultimately came to a conclusion that the New England Patriots and Tom Brady will get their sixth ring. When it comes down to the grand scheme of things, nobody is better in this situation than Brady and Bill Belichick. I have so much respect for Sean McVay, but he’s never been in this situation before. I know that Doug Pederson beat Belichick in the Super Bowl last year in his first ever trip, but I can’t see that happening again. The Rams are a potential dynasty and could very well be back to the Super Bowl in a couple seasons or even next season. That being said, I don’t think their time is now. I think the Rams offense will get jitters throughout the game, and their defense won’t be able to touch Brady as much as they had hoped. The Patriots offensive line didn’t allow Joey Bosa, Melvin Ingram, Dee Ford, Chris Jones or Justin Houston to sack Brady in the playoffs. Aaron Donald will get a sack or two, he’s just that good, but it won’t be enough to overcome what Belichick and the Patriots have cooking in the kitchen. Tom Brady’s done, and the Pats are done too. 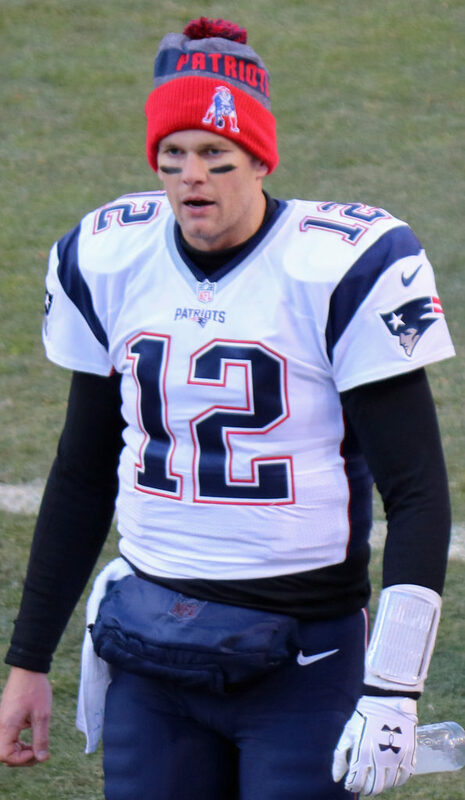 With that said, someone could convince me the game will end with Tom Brady, AKA Tom Terrific, AKA The Comeback Kid, AKA the Global Face of UGG for Men, and the Pats down three with less than 2 minutes left in the fourth quarter. They drive for the game winning touchdown, an option route to Julian Edelman out of the slot. But if I believed any of that I wouldn’t be a true Patriots fan. A true Patriots fan believes Brady should have been benched once Drew Bledsoe got healthy in 2001 and they should have chosen Matt Cassel in 2009 and Jimmy Garoppolo in 2018 over supermodel Gisele Bundchen’s husband. Look, I didn’t choose to be a Patriots fan. It just kind of happened. That’s what you get for being born in New England. This physically pains me to write. I’m not so much a Rams fan, but I am so tired of the Patriots. The NFL has turned into “The Simpsons.” It’s been the same thing season after season for the last 20 years. You want it to just stop, but people watch it anyway. Anyway, the Rams aren’t the dominant force they started off as (despite still being very good), and the Patriots don’t screw around. Gurley may not be at 100 percent. Gronk is made of glass these days, but he’s looking better. Tom Brady made a pact with Satan to play football forever. I think the Pats have this one. The impending matchup between the Ryerson Rams and the Regina Pats is more than a surprising turn of events. The two teams are so unevenly matched the game will probably be as painful and dull to watch as a junior high volleyball tournament. The Rams have a decent record with 17 wins and only 7 losses, but strangely have a better track record off of home ice than on. The Pats are nowhere near the top of the Western Hockey League (WHL), ranking a mere 20th out of 22 teams. Oh, wait. This is for football, isn’t it? Crap. I know nothing about sports, but there is no question the Patriots will beat the Rams. Let’s be honest, they always seem to win somehow, so this year will be no different and everyone will be screaming Tom Brady’s name just like any other year. Plus, East Coast over West Coast. Patriots will win. More importantly, who will be the cutest at the Puppy Bowl? All of them of course.